Have you ever wanted to live in a valley surrounded by mountains? Rutland South real estate gives you all of those unbelievable views and more. Housing prices are comfortably affordable, and real estate offers a mix of single family homes, ranches, and condominiums. This quiet neighborhood is ideal for families both young and established, students, and retirees. If you think this is the neighborhood for you, have a look at some of the amazing Rutland South homes for sale below. Pristine mountain ranges and stunning parks are one of many reasons why Rutland South homes for sale are so unique. This neighborhood is the ideal blend between country living and a city lifestyle. Homes tend to be both modern and older, some built as far back as the 1960s. They have their own traditional kind of charm that you’d be hard pressed to find closer to the city. Prices begin at around $100,000 and go to more than $500,000. Streets in Rutland south are well graded and smooth with clean sidewalks. Towering pine and Douglas fir trees line the sidewalks, making this neighborhood scenic and close to nature. Single family home lots tend to be on the larger side because the majority of them were built in the 1960s and 70s. Views of parks and of the mountains are available from almost every angle, and the skyline is lined with the tops of trees. Houses more than condominiums tend to be newly renovated, with condominiums located closer to the Kelowna Rock-Creek Highway. Belgo Elementary School is central to the neighborhood, making it an easy and safe walk to and from the school. Bus options are also available. Rutland Lions Park is within easy walking distance as well and has massive trees, a playground for kids, and a lovely walking trail. Have picnics, walk your dog, or enjoy the outdoors! The community of South Rutland is friendly, welcoming, and safe. It has clean streets with more than enough room for both street parking and sidewalks. 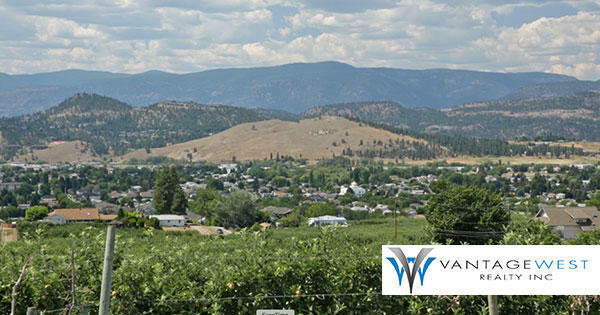 The area is quiet compared to many of the busier neighborhoods in Kelowna and boasts an excellent locale when it comes to those going to university. The University of British Columbia is one of the most sought after universities in the country. It’s a lively, energetic place with outstanding and professional instructors and gorgeous grounds. With a stunning library and a specialty in science and business, it’s easily accessible either by foot, car, or bus. The best part is, it’s a 10 minute or less drive from Rutland South. The Shadow Ridge Golf Club is right next to it. This course is challenging and large, with pristine greens and well-kept grounds. It has ample parking and clear, clean foot paths to make it easy to get around the course. With water hazards and stunning willow trees, this course can’t be matched in terms of difficulty and scenery. Contact Vantage West Realty right now to book a home tour and find out more information about this gorgeous Rutland neighborhood!